1. I believe that every single event in life happens in an opportunity to choose love over fear. 2. The journey to take better care of yourself, to honor yourself, to have reverence for yourself, to have harmony with your life, appreciation for your life, to love yourself is a never-ending journey. 3. I finally realized that being grateful for my body, whatever shape it was in, was the key to giving more love to myself. 4. The happiness you feel is in direct proportion to the love you give. 5. Connect. Embrace. Liberate. Love somebody. Just one person. And then spread that to two. And as many as you can. You’ll see the difference it makes. 6. Your life is a journey of learning to love yourself first and then extending that love to others in every encounter. 7. A healthy relationship brings joy—not just some of the time but most of the time. 8. To know that people care about how you’re doing when the doings aren’t so good—that’s what love is. 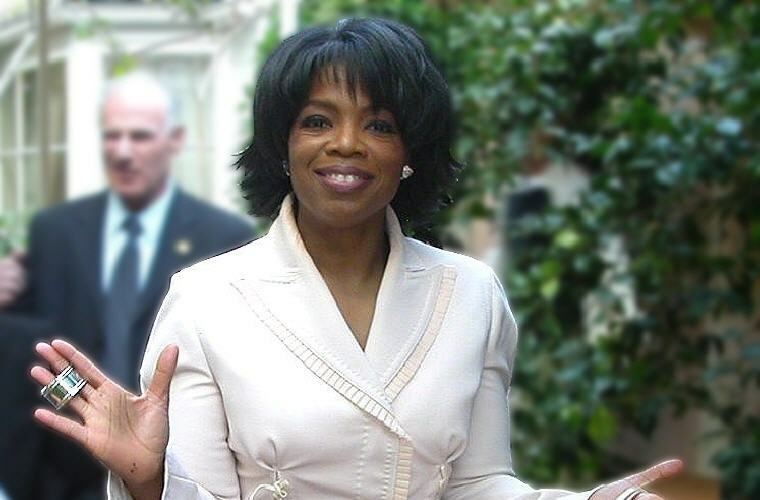 Excerpt from Wikipedia: Oprah Winfrey (born Orpah Gail Winfrey on January 29, 1954) is an American television host, actress, producer, and philanthropist, best known for her self-titled, multi-award winning talk show, which has become the highest-rated program of its kind in history and was nationally syndicated from 1986 to 2011. She has been ranked the richest African American of the 20th century, the greatest black philanthropist in American history, and was for a time the world’s only black billionaire. She is also, according to some assessments, the most influential woman in the world. 1. Breathe. Let go. And remind yourself that this very moment is the only one you know you have for sure. 2. I never think about what I want. It’s about what you want to give to other people. 3. What other people label or might try to call failure, I have learned is just God’s way of pointing you in a new direction. 4. I know where my lane is, and I know how to stay in my lane. My lane is evolving the consciousness of people. 5. The thing that I do best is “Be Here. Be Now”. 6. What I learned at a very early age was that I was responsible for my life. And as I became more spiritually conscious, I learned that we all are responsible for ourselves, that you create your own reality by the way you think and therefore act. You cannot blame apartheid, your parents, your circumstances, because you are not your circumstances. You are your possibilities. If you know that, you can do anything. 7. Be thankful for what you have and you’ll end up having more. If you concentrate on what you don’t have, you will never, ever have enough. 8. As long as you’re chasing the “ghosts” of your past you can never fully embrace your future. 9. I know for sure that what we dwell on is who we become—as a woman thinks, so she is. 10. Let your light shine. Shine within you so that it can shine on someone else. Let your light shine. 11. Excellence is the best deterrent to racism, sexism all the ‘ism’s. Be excellent in all endeavors. People notice and remember. 12. Understand that the right to choose your own path is a sacred privilege. Use it. Dwell in possibility. 13. Your true passion should feel like breathing; it’s that natural. 14. Think like a queen. A queen is not afraid to fail. Failure is another steppingstone to greatness. 15. I have a lot of things to prove to myself. One is that I can live my life fearlessly. 16. My idea of heaven is a great big baked potato and someone to share it with. 17. Challenges are gifts that force us to search for a new center of gravity. Don’t fight them. Just find a different way to stand. 18. Self-esteem comes from being able to define the world in your own terms and refusing to abide by the judgments of others. 19. I believe miracles happen in our lives not just sometimes but every single day. 20. Failure is just a way for our lives to show us we’re moving in the wrong direction, that we should try something different. 21. Alone time is when I distance myself from the voices of the world so I can hear my own. 22. We are each responsible for our lives and, more important, the thoughts that create them. If you want your life to be more rewarding, you have to change the way you think. 23. And I saw that once I chose to just let people be, my relationships got better. 24. What you put out comes back all the time, no matter what. 25. You define your own life. Don’t let other people write your script. 26. Whatever someone did to you in the past has no power over the present. Only you give it power. 27. The biggest adventure you can ever take is to live the life of your dreams. 28. Having the courage to stand up and pursue your dreams will give you life’s greatest reward and life’s greatest adventure. 29. The big secret in life is that there is no big secret. Whatever your goal for this year is, you can get there—as long as you’re willing to be honest with yourself about the preparation and work involved. There are no back doors, no free rides. There’s just you, this moment and a choice. 30. Education is the key to unlocking the world, a passport to freedom. 31. Cheers to a new year and another chance for us to get it right. 32. What material success does is provide you with the ability to concentrate on other things that really matter. And that is being able to make a difference, not only in your own life, but in other people’s lives. 1. If a man wants you, nothing can keep him away. If he doesn’t want you, nothing can make him stay. 2. I don’t want anyone who doesn’t want me. 3. The more you praise and celebrate your life, the more there is in life to celebrate. 4. So go ahead. Fall down. The world looks different from the ground. 5. Books were my pass to personal freedom. I learned to read at age three, and soon discovered there was a whole world to conquer that went beyond our farm in Mississippi. 6. My philosophy is that not only are you responsible for your life, but doing the best at this moment puts you in the best place for the next moment. 7. It doesn’t matter who you are, where you come from. The ability to triumph begins with you – always. 8. The greatest discovery of all time is that a person can change his future by merely changing his attitude. 9. I trust that everything happens for a reason, even if we are not wise enough to see it.